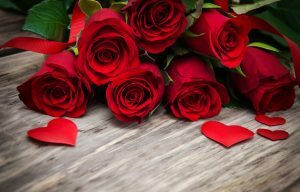 The air is full of love on Valentine’s day; everywhere you look there are couples enjoying candlelight dinners, men and women walking the streets with oversized bouquets and couples sharing long gazes into each other’s eyes – it’s truly a delightful time of year. While some couples believe that every day should be a Valentine’s Day, others consider it a time to give some extra TLC to their partner and celebrate their long-lasting love. And so, to celebrate the love this year, we have rounded up five reasons why February 14th is the perfect day to tie the knot. Nobody wants to spend Valentine’s Day alone so spread the love and celebrate your wedding with your nearest and dearest. It gives everyone a chance to mix and mingle and perhaps the gathering will spark a budding romance that may lead to someone else’s wedding day! Heart shaped décor is both fun and flirty! The heart is the perfect wedding motif, and although it can get a little cheesy – when used the right way it can be a cool, stylish design that unites your wedding theme. 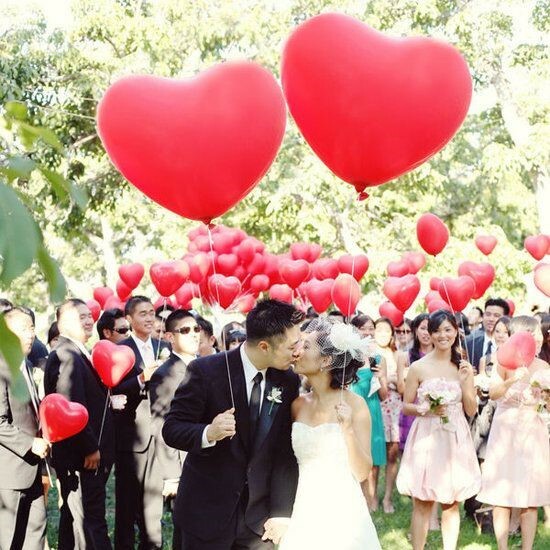 You can get as creative as you like with playful heart-shaped balloons…which are all the rage this season. Perhaps you can get inventive with heart-shaped canapes or DIY paper garlands. Whether you want to go all out with a heart shaped wedding cake or subtly add them as an accent to your day, there’s nothing that’s says love more than a heart! Despite popular belief, a Valentine’s Day anniversary can feel extra special! Friends and family are unlikely to forget the celebration, and when you are surrounded by the excitement of February 14th with roses, chocolates and heart-shaped everything, it can feel as if the whole world is celebrating your love! With hotels, restaurants and almost every publication covering gift ideas and offering gift guides for him and her, you’ll find it hard not to discover the perfect anniversary gift every year! Many believe Valentine’s day is just another holiday made up by greeting card companies to bolster profits. However, the story of how this lovers holiday came about is actually quite sweet!  According to history, Saint Valentine was slain because he broke the law, the law forbidding men to marry. On February 14th marriage was outlawed by the king as he didn’t want men distracted by love instead of on the battlefield fighting. Father Valentine, as he was then known, broke the rules and continued to marry people in secret. When he was found out he was sentenced to death and we celebrate Valentine’s Day now because falling in love is pretty special, and we think that ought to be worth celebrating! Whether you’re looking for an intimate gathering or a looking to throw a big bash, we have you covered. 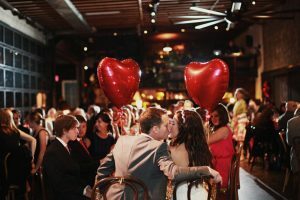 Speak to our team of wedding coordinators to throw one memorable Valentine’s Day wedding celebration.